Couchsurf or Airbnb with great care – make sure you only ever choose somewhere with lots of good, legitimate reviews, or go by a trusted recommendation. Don’t pay more than you should for travel insurance – choose a policy that can be tailored to meet your needs as a solo traveller without incurring a premium. Get some advice – ask other female travellers where they have been and what tips they would give for women travelling alone there. The Travelettes offer a great place to find inspiration and information online, and Wanderful connects female travellers and facilitates knowledge-sharing to promote safe and confident travel around the world. Tell people where you are going and what you plan to do – a travel itinerary isn’t just to give you ideas about what to do on holiday, it can offer vital info for folks back home if they want to track you down. Dress appropriately – this can either mean cover up where being scantily clad may cause offence, or dress like someone who lives there to avoid looking like a vulnerable tourist. Consider wearing a ring on your wedding finger – if you aren’t already wearing one. In some places this can prevent unwanted attention from local men, or indeed other tourists. Keep flashy jewellery to a minimum – general advice for all solo travellers, not just the ladies. When you are on your own, having visible wealth can make you a target for opportunistic thieves. 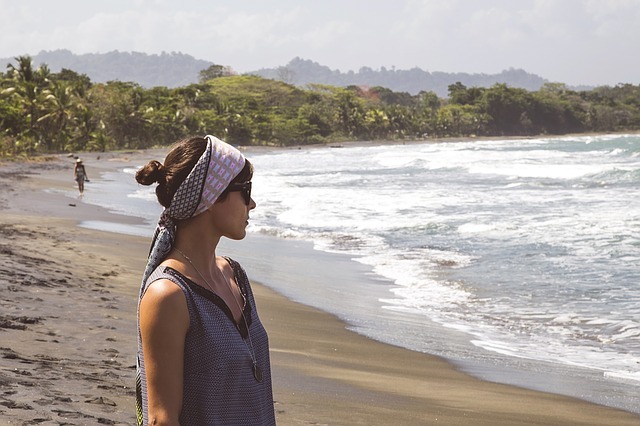 Find out what locations are off-limits for ladies travelling alone – befriend the hotel staff and get some insider knowledge on where you should and should not go during your stay. Map read discretely – if you get lost, avoid pulling a map out or studying your phone out in the open on your own – pop into a nearby shop or café instead. Make fake phone calls – if you are taking a ride on your own, feel vulnerable on public transport, or you are just walking a street, make a fake phone call stating that you’ll “be back soon”. Avoid intoxication – and keep any drinks you buy with you at all times! Spiked drinks are a serious problem, so always keep yours in sight from the moment it is poured. Save a bit of cash for a cab – really handy if you suddenly find yourself somewhere where you don’t feel safe wandering about or if an incident happens and you want to get away fast. Join other solo travellers – the freedom of solo travel is amazing, and one you can actually share with others. Some operators such as Friendship Travel have a package where solo holidaymakers can join together over dinner for a bit of company and to share travel ideas, stories and tips. Don’t forget your travel insurance! We offer cost-effective comprehensive cover to suit your needs, by being flexible – this includes providing reduced cover options, not just adding extras on. Give us a call on 01892 833338 or get a quote online. This entry was posted in Safety when travelling, Travel Advice, Travel Tips on August 12, 2016 by worldwideinsure.